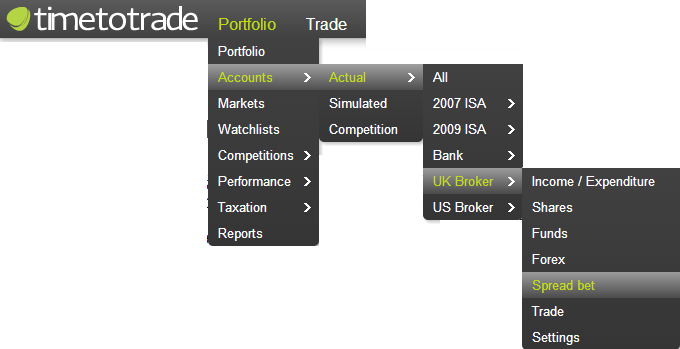 The Portfolio Accounts can be used to track Spread Bet investments in multiple currencies. In this section we will discuss how to add, edit and delete Spread Bet transactions in your Portfolio Account. Symbol: Enter the spread bet symbol using the format recognised by timetotrade if automated price updates and historical valuations are required. If you are unsure of the symbol, start typing the company name into the 'symbol' text field. A drop down menu will appear displaying possible matches and their associated symbol. 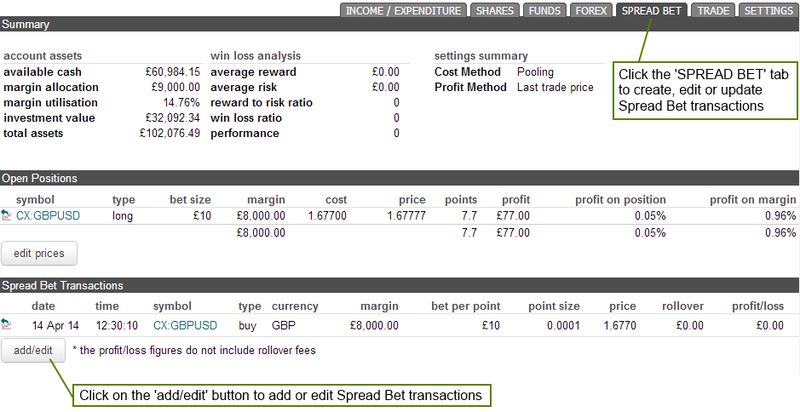 Bet Per Point: Input the spread bet size e.g. 5 pounds per point. Point Size: Enter the point size associated with the market being traded. For example in currencies the point size is typically 0.0001 for non JPY currencies, and 0.01 for JPY currencies. UK Shares are typically 1 and US shares are typically 0.01 for pennies and cents respectively. 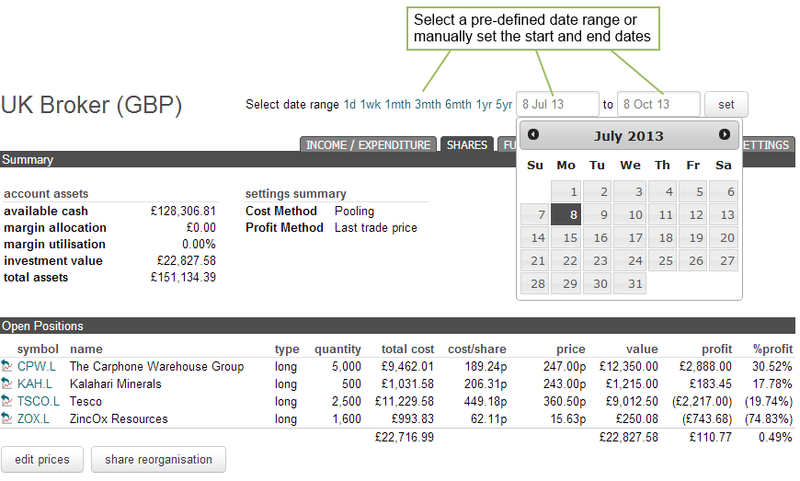 Price: Input the spread bet transaction price. Rollover: Enter the rollover and swap charges in the transaction currency if the position is held over night; alternatively enter these via the Income/Expenditure if you are not sure what transaction the rollover and swap fees are associated with. Profit/Loss: Enter the Profit / Loss value in the transaction currency, with opening transactions typically set to zero and closing transactions having a value. Once you have finished adding your spread bet transactions to the account, click on the "done" button as illustrated above.